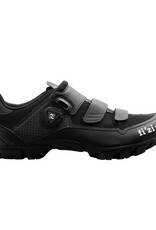 M6B Uomo: fi’zi:k’s range of performance mountain biking shoes is developed in collaboration with leading professional cyclists and the best technologies, materials, R&D, testing and manufacture techniques are used to deliver you the best shoes for MTB riding and racing – be it for XC, Enduro, All-Mountain, trail or beyond.Those benefits trickle down through the range. 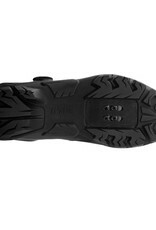 M6B offers a superior blend of comfort and fit, power transfer, light weight, and trail-tough resilience. 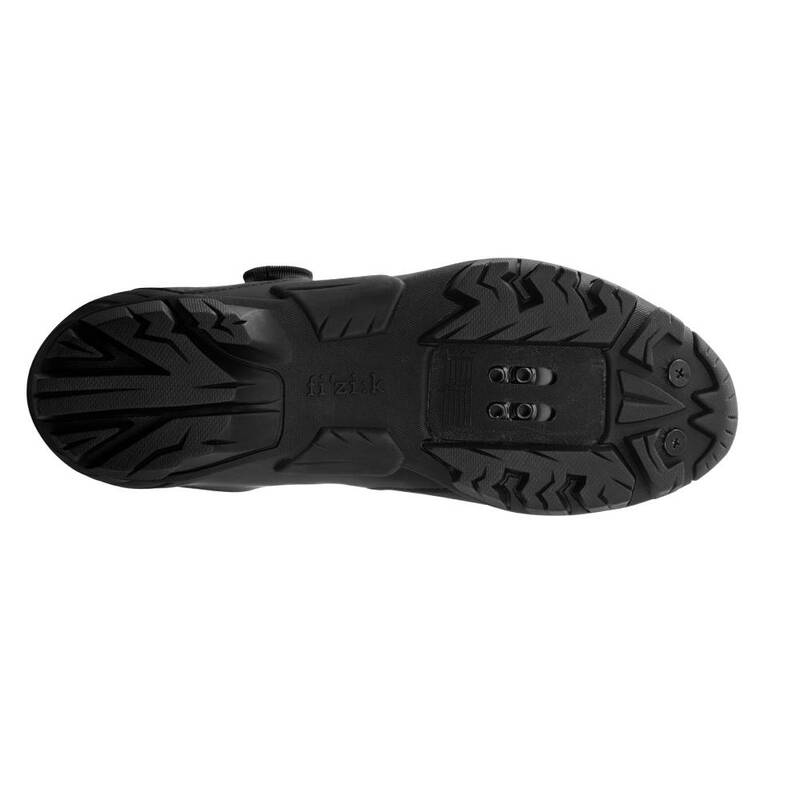 It features a tough rubber outsole combined with a carbon reinforced Nylon midsole – giving stiffness for ultimate power transfer, superior grip and protection from the trail. 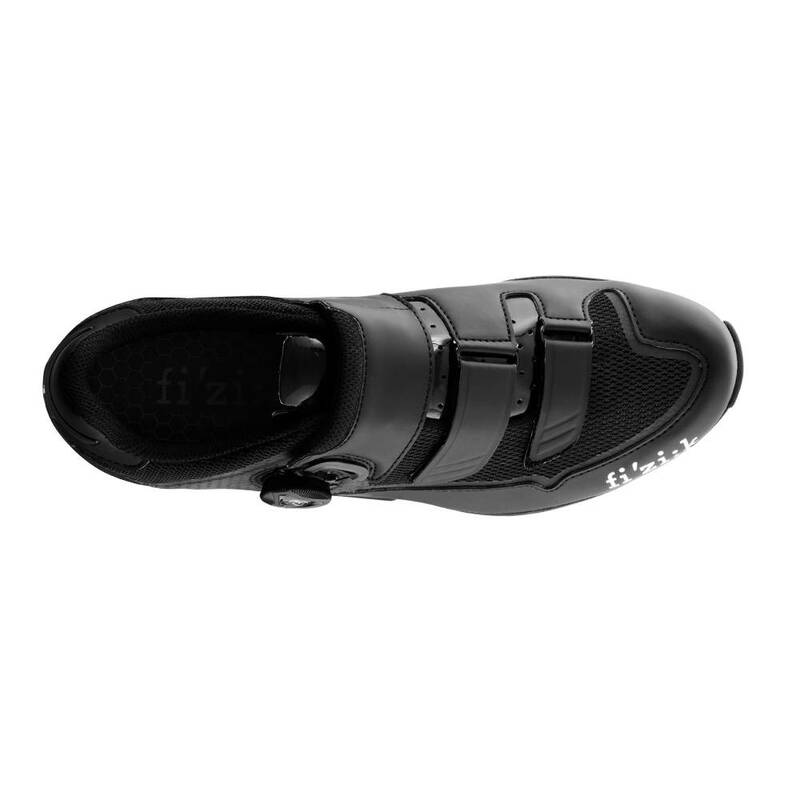 M6B combines with the comfortable fi’zi:k Cycling Insole’s sculpted footbeds and supportive heel to make sure that every precious watt goes straight into your pedals. 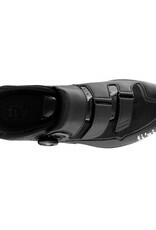 Its light, micro-adjustable Boa L5 Bridge closure system is complemented by a pair of tough Microtex Velcro straps. 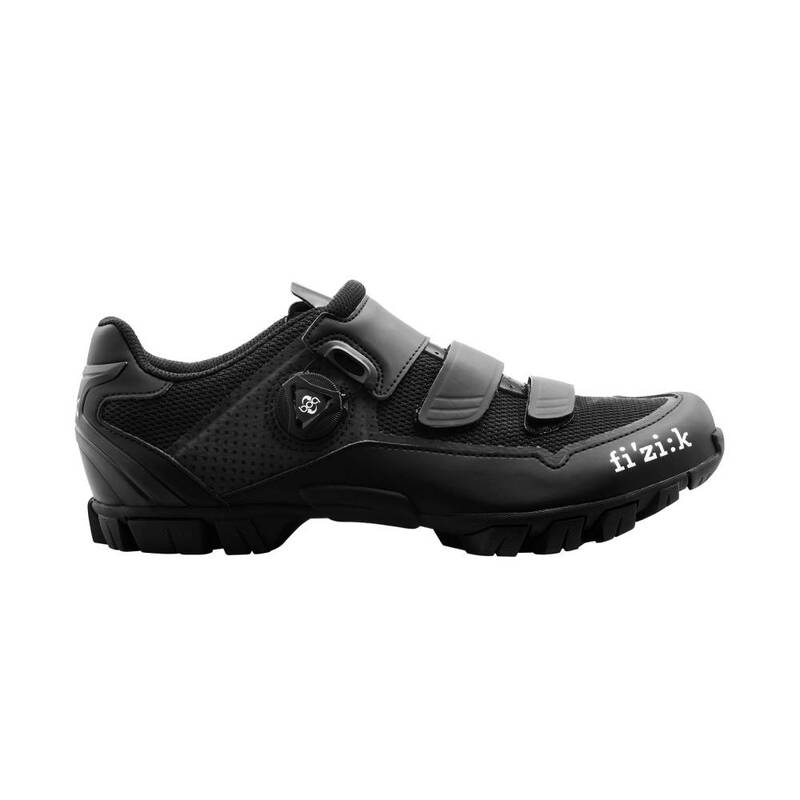 It uses Reinforced Microtex combined with Nylon mesh for comfort, ventilation, and fit, and is tough enough for any riding conditions. 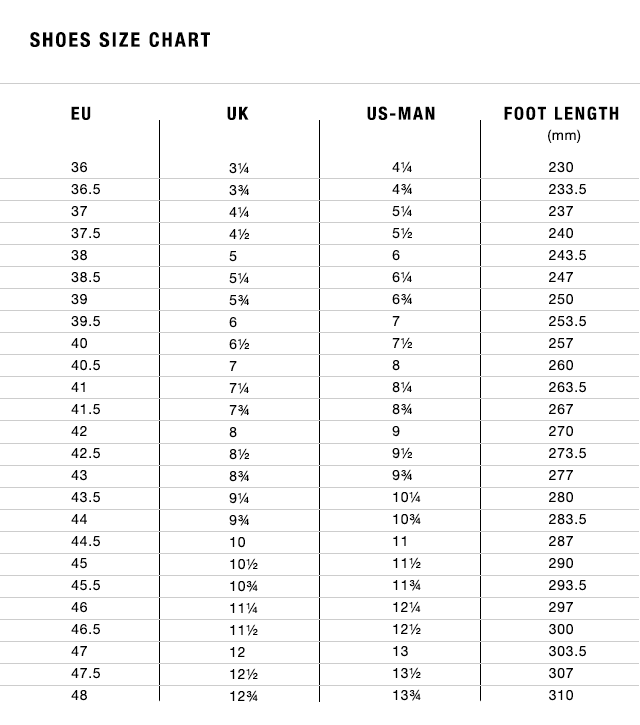 The M6B Uomo is all-mountain tough yet weighs just 385g (size 42.5).